Date:March 2002. The Starting Point. 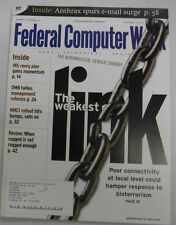 Title:Federal Computer Week. Building To The Future. Date:January 2002. 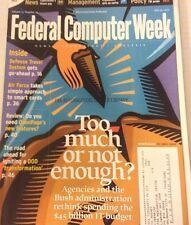 Title:Federal Computer Week. The Weakest Link. Date:November 2001. Title:Federal Computer Week. INS Reorg Plan. On The Rebound. Date:October 2002. 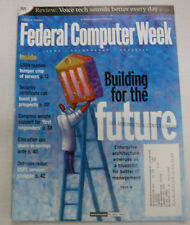 Title:Federal Computer Week. Date:September 2000. 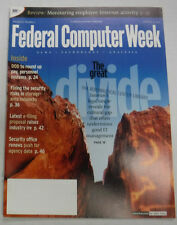 Title:Federal Computer Week. Hill Support. Date:January 2002. Title:Federal Computer Week. Remote Sensing. In The System. The Great Divide. Date:February 2002. Title:Federal Computer Week. Blurring The Lines. Date:November 2000. 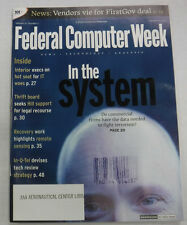 Title:Federal Computer Week. Breaking The Mold. Date:December 2000. Title:Federal Computer Week. Date:March 2003. Title:Federal Computer Week. Date:September 2001. 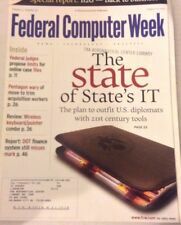 Title:Federal Computer Week. How IT Will Help The US Regroup. The Army's Win-T Project. Date:August 2002. 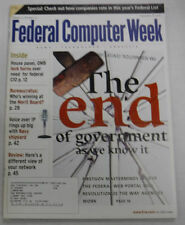 Title:Federal Computer Week. Federal Web Sits. Date:April 2003. 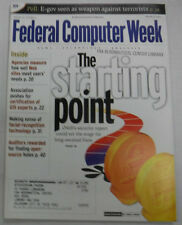 Title:Federal Computer Week. Date:November 2002. 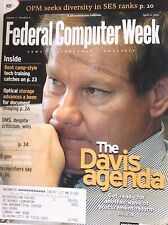 Title:Federal Computer Week. FAA Wants To Avoid Delays. Date:December 2002. Title:Federal Computer Week. Can The Net Revive The Vote. Date:September 2000. Title:Federal Computer Week. Getting The Security Word. Gadgets On The Go. Date:September 2002. Title:Federal Computer Week. Your Jobs On The Line. Date:June 2003. 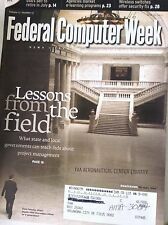 Title:Federal Computer Week.